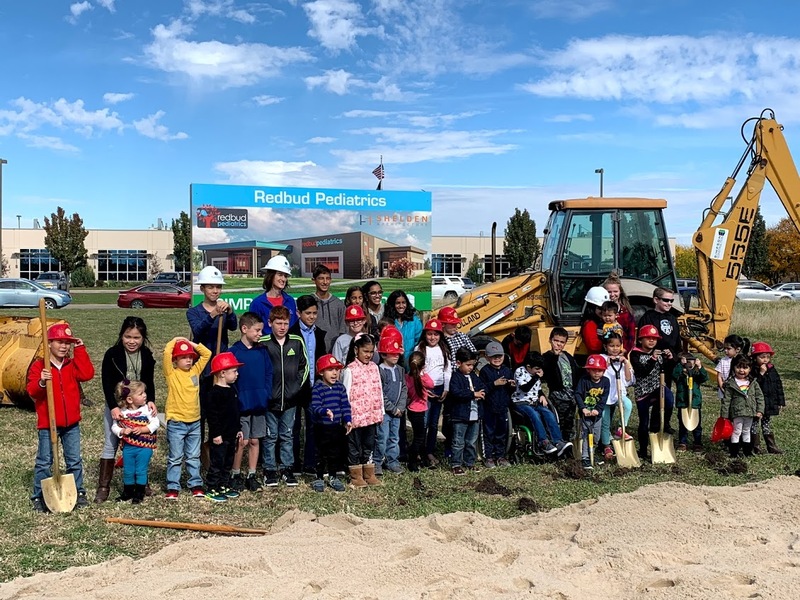 Redbud Pediatrics celebrated their groundbreaking Saturday, November 3rd at the new East 32nd street location. In attendance were the doctors, patients and their families. The 13,384 sq ft will include 32 exam rooms, as well as a large, kid friendly, waiting area. Simpson Construction is a fourth-generation commercial construction company that has been in business for nearly 60 years. Simpson Construction is led by Bob Simpson and based in Wichita, Kansas. Their vast commercial construction experience includes Educational, Medical, Senior Living, Multi-family, Financial, Community and Religious Facilities.